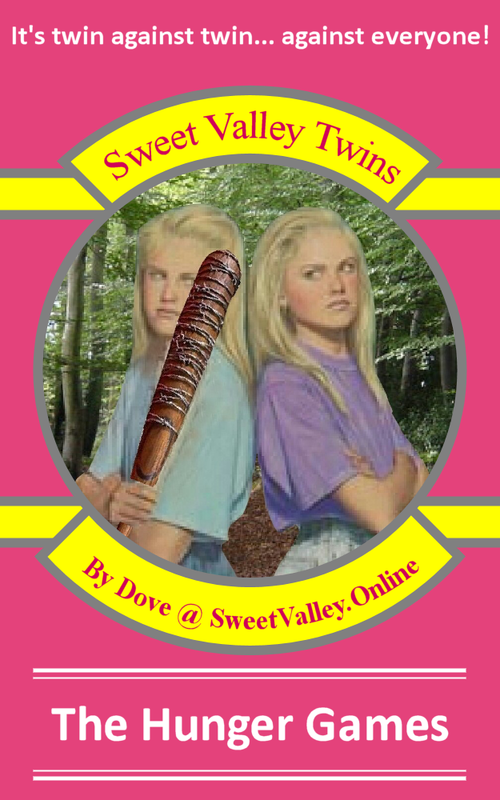 Remember "Buck the Odds (Holla Holla Lois Waller)", the theme song of Jessica vs Elizabeth (The Hunger Games) NaNo fic? Well, now you can listen to it, thanks to Raven and Stuart Taylor. Dove finishes NaNo. This is the final chapter of #JessicaVsElizabeth. Hope you enjoy. Dove continues to NaNo. This is the penultimate chapter of Jessica vs Elizabeth. Dove continues to NaNo. There are answers in this chapter! Dove continues to NaNo. The end is near. Hope you enjoy. Dove continues to NaNo. The fight between the final three tributes kicks off. Dove continues to NaNo. All kidding aside, this is my favourite chapter. Hope you like it. Dove continues to NaNo. People die as we get down to the final few in the Hunger Games. Dove continues to NaNo. There are words. Dove continues to NaNo. There's a tsunami, a toothbrush and some superglue.